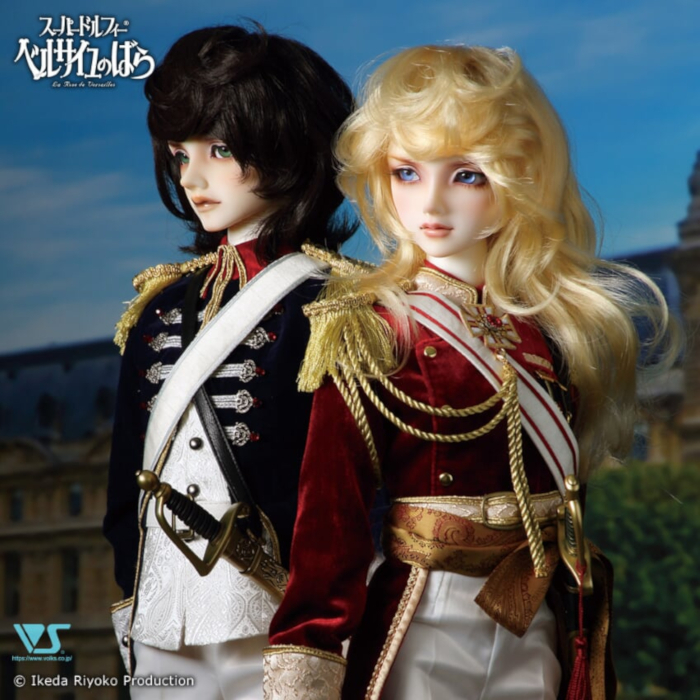 André Grandier (left) and Lady Oscar, from the classic manga series “The Rose of Versailles,” are available as resin Super Dollfie BJDs from Volks for a limited time. “The blossoming beauty of Versailles who was raised a man.” Lady Oscar, the military officer who commands the Royal Guard of Versailles – her fair skin and shining golden hair brilliantly reflects in the eyes of the people. What dramatic fate awaits the beautiful military officer who left her life behind as a regular woman and noble? “The retainer who lived in the shadow of his beloved … and protected her with his life” Oscar and André spent their childhood days together. André lived out his love for her despite the difference in their class. Through his strong determination and resolve, he lives for his loyalty and love. 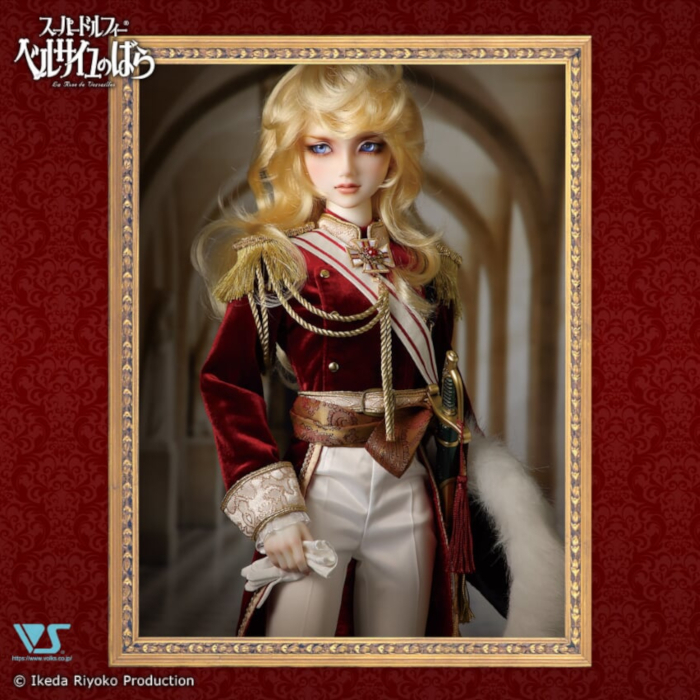 Super Dollfie 17 André Grandier depicts the character at the time when he joined the Royal Guard to protect Lady Oscar and when his love was finally returned. 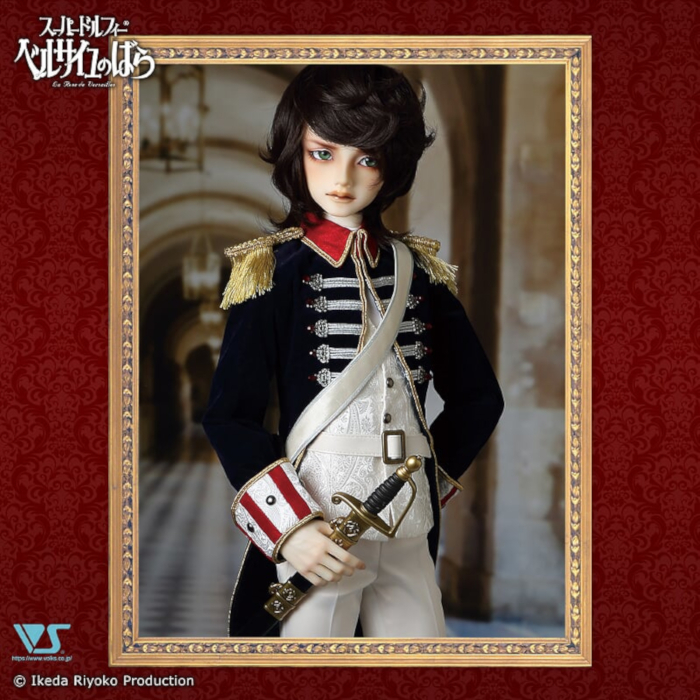 “The Rose of Versailles” Lady Oscar and André Grandier dolls will be on sale in the North Americas through February 10, 2019, through the Volks USA web store.